I found your site while browsing ,want to thank you for allowing me to join. 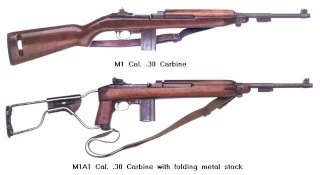 I only own two M1 carbines so my collection is just started. I first purchased a carbine because it was what I carried in Vietnam and Laos and wanted one as a souvenir of my past. I am located near Atlanta , a couple of hours to go to the CMP south store. Since it is that day Merry Christmas to all. Hi Russ, nice to have you on board, and very nice to have a site member who actually used an M1 Carbine in service.